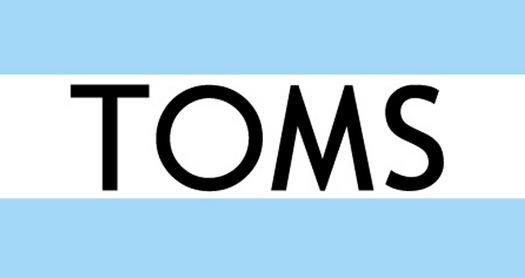 “Fun Fact” Friday — 9/2: TOMS shoes! My first (and self-decorated) pair of TOMS! It’s been a growing love affair ever since…let’s just say that the hardest thing about choosing countless birthday presents, Christmas presents, etc. for friends and family has been what color to get them! Over the past 7 days, there have more than 10,900 mentions postedrelevant to TOMS across Twitter, Facebook and Video. My TOMS have even traveled with me all the way to Iceland, on a trip this summer with my brother. More than 8,856 unique Twitter users posted about the brand. There are some pretty big brands talking about TOMS on Twitter: the top three influencers by impact were @TeenVogue, @Nordstrom and @LIVESTRONG combining for a total of 967,069 followers. Facebook users are pro-TOMS with 86% mentions expressing positive sentiment, 5% neutral and 9% negative. The video that was shared this week with the most total views was “New Year II” by @mmitchelldaviss coming in at 344,571 views. So there it is, have a fantastic and safe weekend… I don’t know about you, but I’ll be rocking my TOMS all over SF in this (forecasted) great weather! Stay tuned for next week’s featured profile…what would you like to see featured?